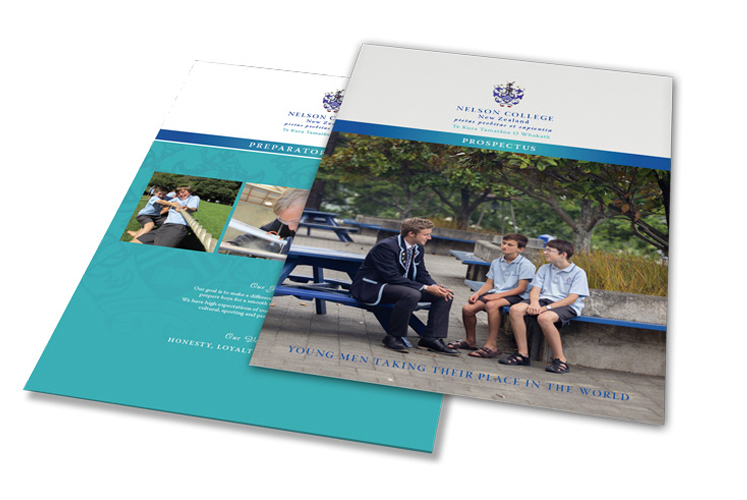 Nelson College is a New Zealand public high school for boys, with a preparatory school and full boarding facilities. The college has a rich history and a reputation for quality education. 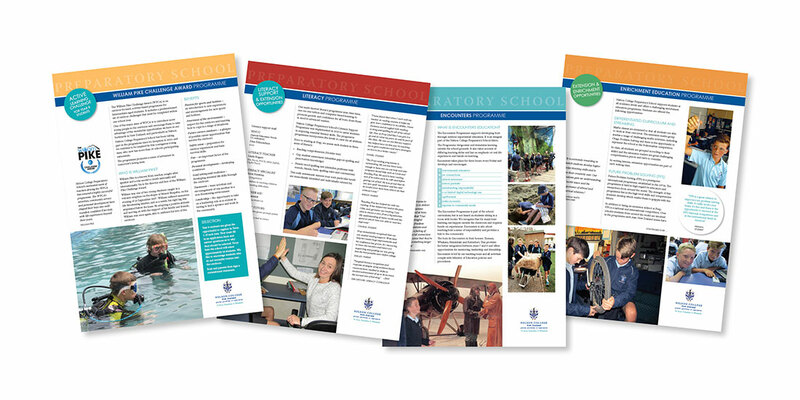 The client needed to produce marketing and communication materials to represent the college’s brand values and visual identity. 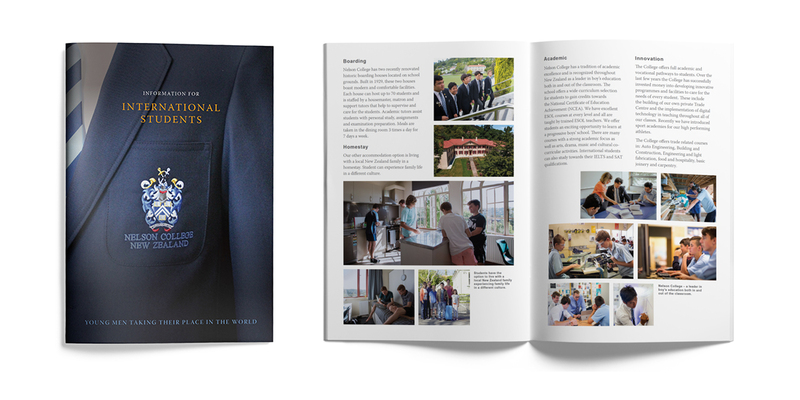 Over time, various materials had been produced by different college departments independently of one another. The challenge was to design new materials to feed into the existing collateral over time, gradually replacing the disparate versions that had evolved. 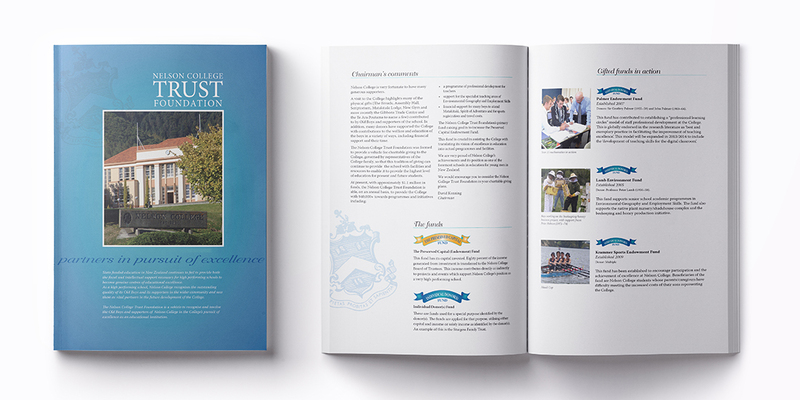 Revisiting the visual identity and brand, we created a visual identity with palette and graphics to strengthen the college brand. This was applied to each project, creating a cohesive and consistent brand across all materials. 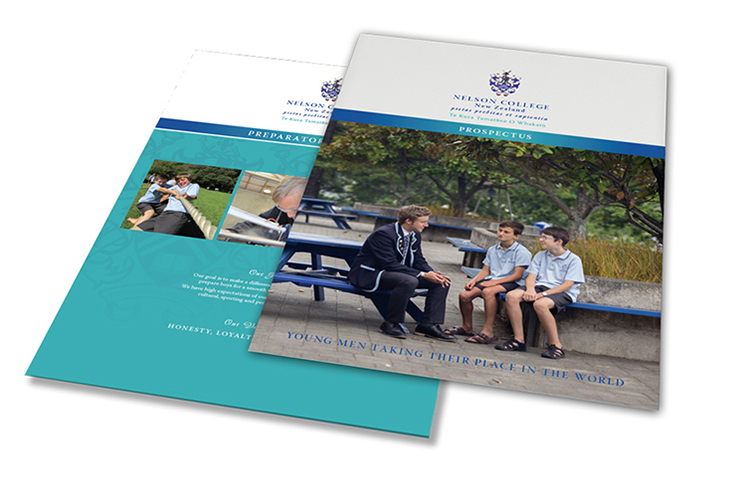 “Lynn O’Shea has worked on a number of Nelson College marketing publications for us over the years.